The Settle & Carlisle Railway need never have been built. The Midland Railway company, infuriated by the cavalier treatment of its passengers by its rival, the London & North Western Railway, was looking for an independent route for its Yorkshire and North Midlands passengers to Scotland. 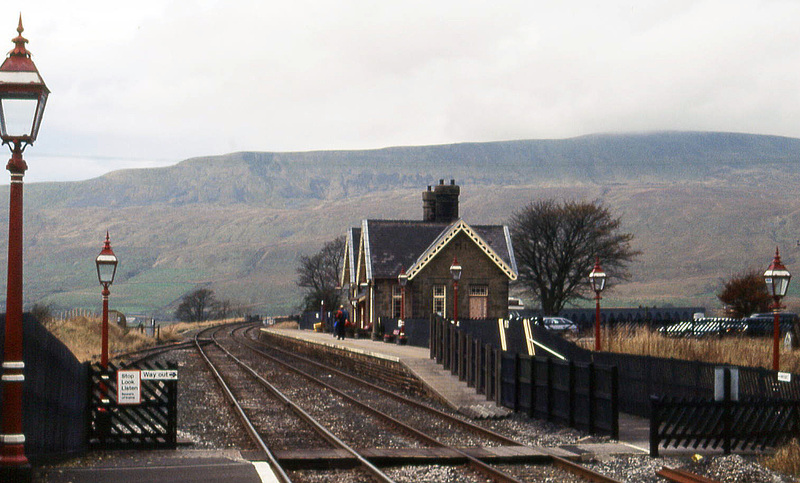 A plan to connect Settle with the East Coast Main Line fell through, and the company went to Parliament for approval to build a route from Settle to Carlisle on the West Coast Main Line to connect with its Scottish partner railways. This might have been a feint, like the Ecclesbourne Valley railway, and indeed the L&NWR in due course offered improved facilities if the Midland would drop their plans, but the Midland’s partners lobbied Parliament to insist that the line was built, at the very worst possible time, the economic slump of 1866-7, when two major railway companies went bankrupt and the Midland was already involved in building other main lines to London and Manchester. I shall never forget, as long as I live, the difficulties surrounding the undertaking. We walked over the greater part of the line from Settle to Carlisle, and we found it comparatively easy sailing till we got to that terrible place, Blea Moor. Building the line was a nightmare, and operating it through some of the most stunningly beautiful and inhospitable country in England has never been a picnic. Settle & Carlisle signalmen and stationmasters grew used to controllers in Leeds and Carlisle flatly refusing to believe their weather warnings, because snow on the fells frequently coincides with calm, dry weather in the lowlands. In 1963 several trains were completely buried and a member of one snow-clearing crew, tramping through the drifts, suddenly disappeared though the cab roof-light of an otherwise invisible locomotive. A plan to build a loco depot at Garsdale was abandoned because the engines would have frozen up standing idle in the winter: the Garsdale water tower had to be steam heated, and the turntable was walled in after a loco caught the gale and spun round uncontrollably for hours. There is no other railway quite like the Settle & Carlisle. Its builders created – against huge odds – a high-speed main-line railway, opened in 1876, across the backbone of England. Generations of a distinct breed of railway crews kept it going in often unenviable conditions. And a particular generation of local people and rail enthusiasts fought a twenty-year battle from the 1970s onwards to oppose closure. It’s hard to believe, sailing across the hills in modern rolling stock, or watching the trains go by from the numerous vantage points along the route, that it’s only in the last decade and a half that the line that should never have been built in the first place has secured a firm future in the modern railway network. This entry was posted in Transports of Delight, Waterways & Railways across the Northern Pennines on December 27, 2013 by Mike Higginbottom.